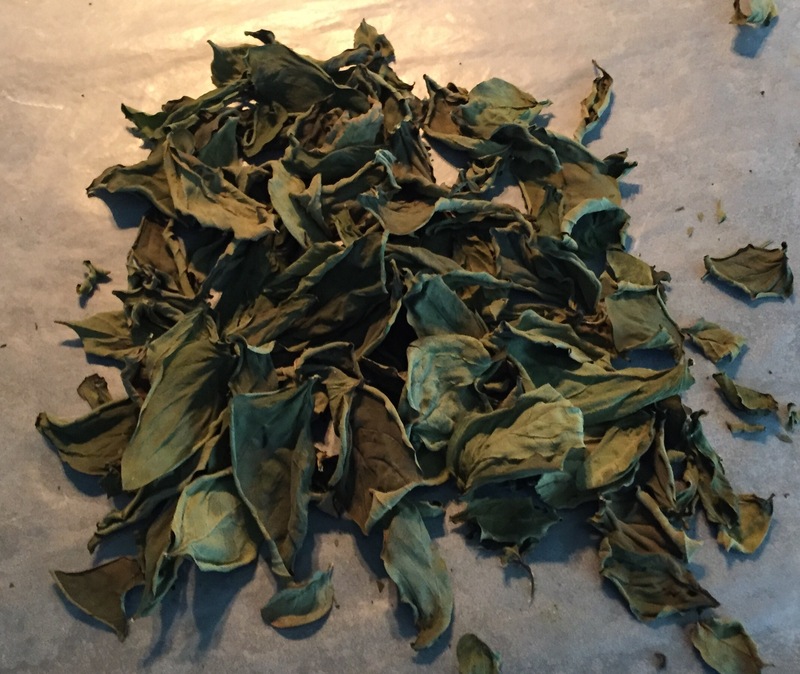 I had been promising to dry some of my extra basil for a couple weeks, and today finally proved to be the perfect day to do it. And boy, was it easy. 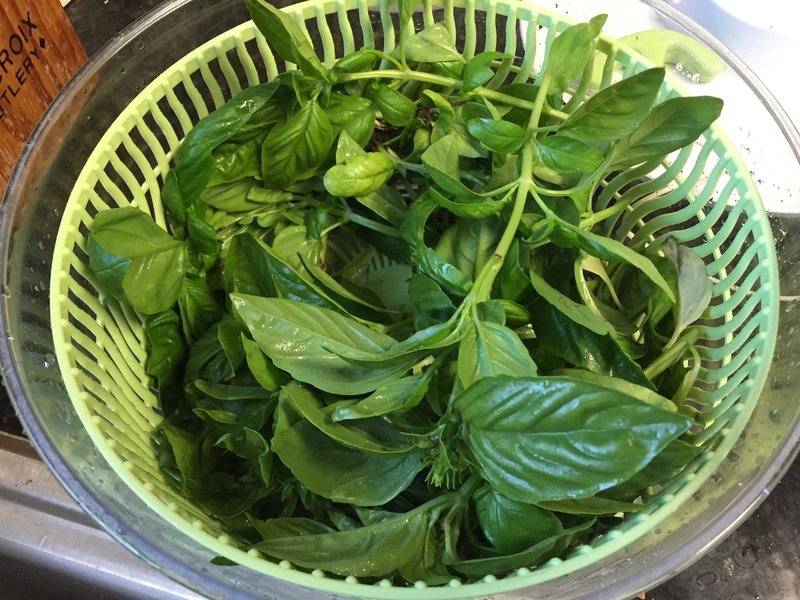 Seriously, all you have to do is cut the basil, wash it and remove the stems and bad leaves. 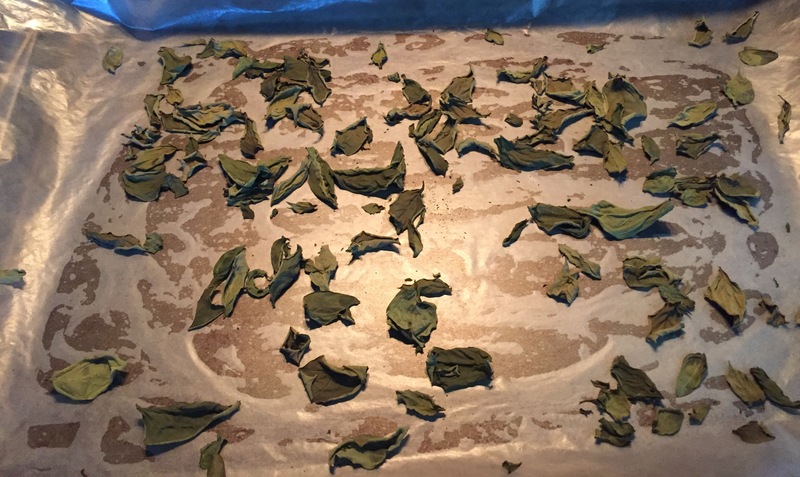 Then arrange it on wax paper on a cookie pan, and place it in a 170-degree oven for about an hour. I say “about” because the first pan I did took a little less than an hour, while the second took a little more than hour. The difference was that the second pan had more basil leaves on it. 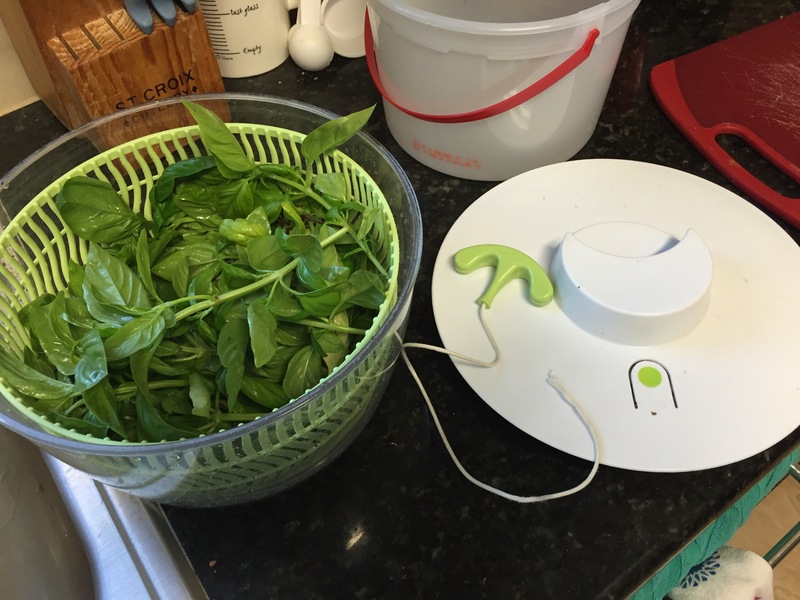 The string on my salad spinner gave its final hurrah while spinning the excess water out of the basil. I think I’ve had it for about 4 years, and since I didn’t pay more than $15 for it, I’d say it’s had a good run. 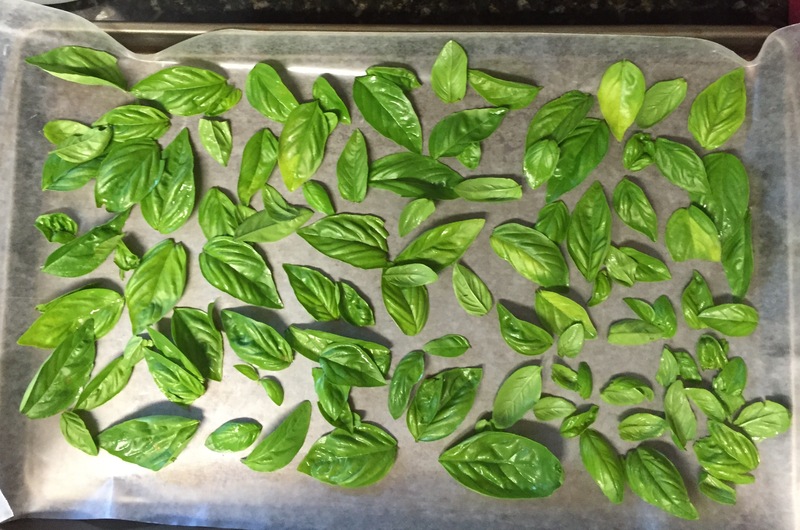 The first pan of basil. 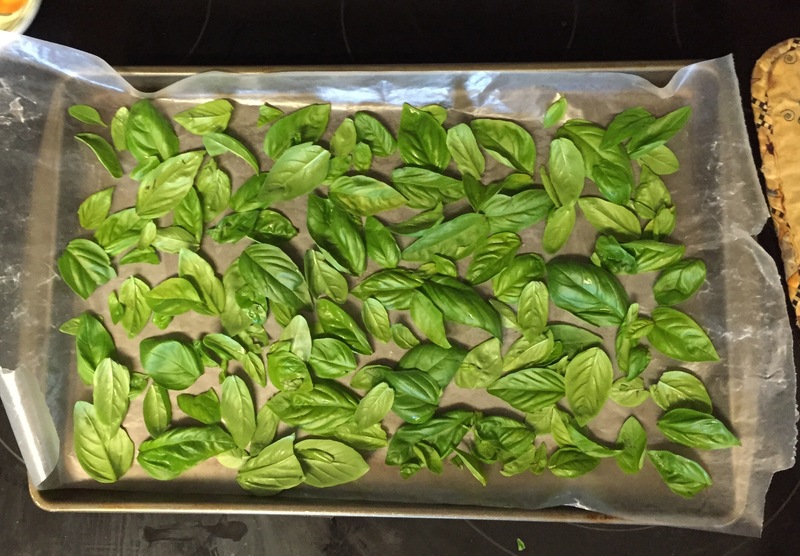 I could have put more on it, but hey, that just meant the house smelled like fresh basil longer. Fair trade, right? The second pan got more basil, and took a bit longer to dry out. 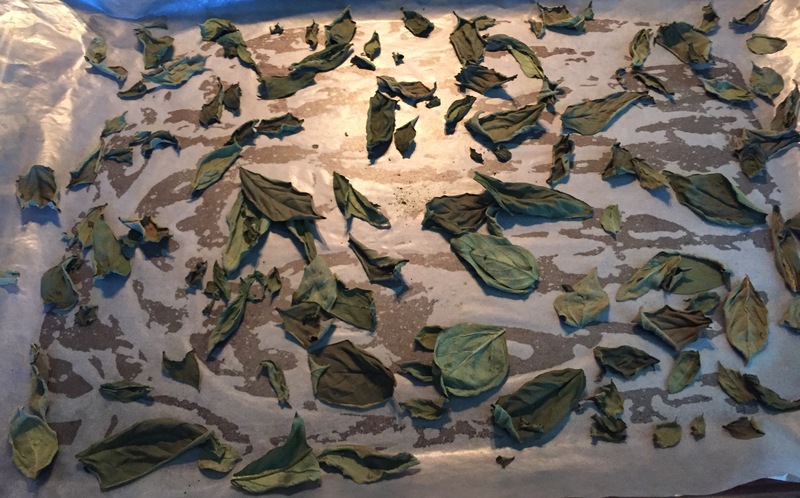 Forty minutes in and many of the basil leaves still are pretty wet. Fifty minutes in. A lot drier, but still not dry enough. Finally, an hour and 20 minutes in, the basil is dry enough to crumble. 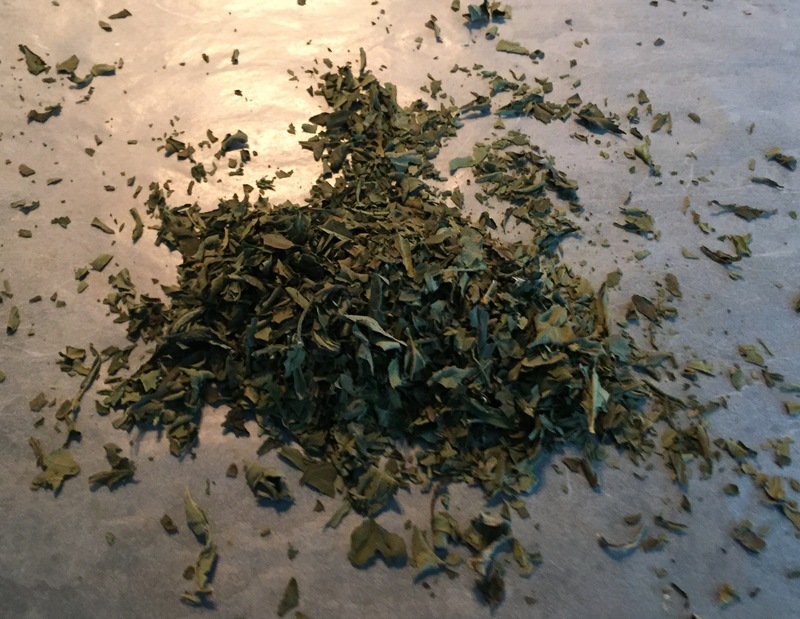 This pile of basil leaves crumbled into… …this pile of basil. 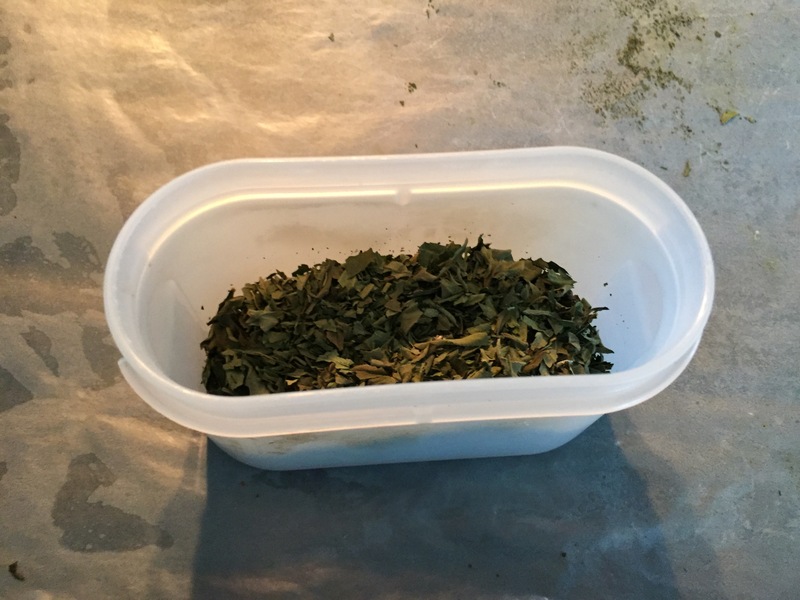 All told, the two pans of basil leaves yielded about 3 1/2 to 4 tablespoons of dried basil. Not exactly a lot, but hey it’s better than none at all. And with the way the basil keeps growing, there’s bound to be more before the growing season is over. 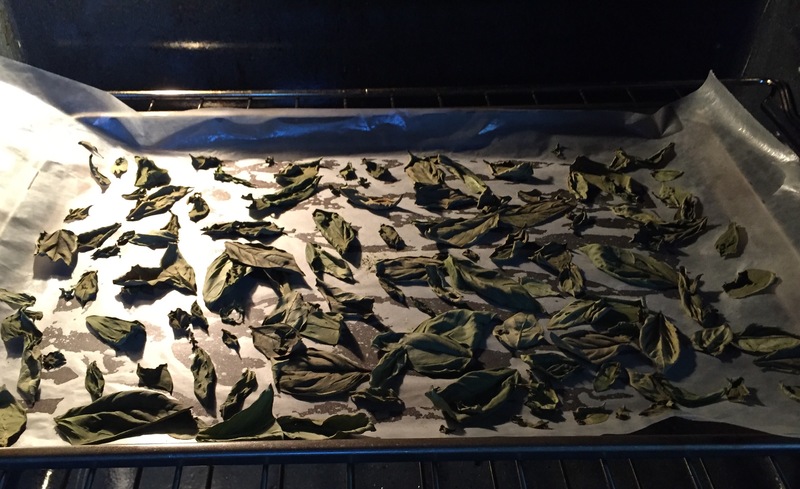 This entry was posted in Gardening, Seasons and tagged basil, spices on October 18, 2015 by Julie Riebe.